What’s the Project? These chocolate peppermint cookies are soft and chewy and filled with peppermint cream frosting. They’re perfect at Christmas and they’re great year round! You’re going to love them. These chocolate peppermint cookies! They are just so good! Soft and chewy cookies sandwiching a minty buttercream frosting. They’re good! They are a great Christmas cookie or they are great year round. My family calls them Chocolate Peppermint Cremes, but you can call them what you want. 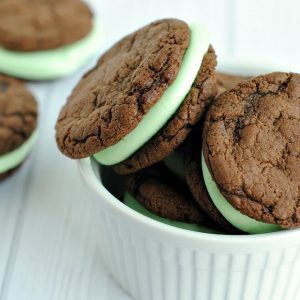 They’re chocolate mint sandwich cookies and they are good! Trust me on this one! Try them! Some people call cookies like this homemade oreos. I think they’re better than that! I just love these chocolate peppermint cookies. These chocolate peppermint cookies are soft and chewy and filled with peppermint cream frosting. They’re perfect at Christmas and they’re great year round! You’re going to love them. In a large pan on the stove over medium high heat, melt the brown sugar, water, and margarine together and stir. Heat until it boils. Remove from heat and stir in the chocolate chips. Mix until melted. Add the dry ingredients and stir them in until completely combined. Roll into one inch balls and drop onto a cookie sheet (preferably with a Silpat mat). If you don’t have a Silpat mat make sure you have a greased cookie sheet. Bake for about 7-8 minutes. Cookie should be just starting to have cracks in it. 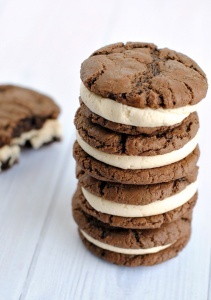 Use a Ziploc bag full of your frosting to squeeze about a Tablespoon onto a cookie. Sandwich with another cookie. 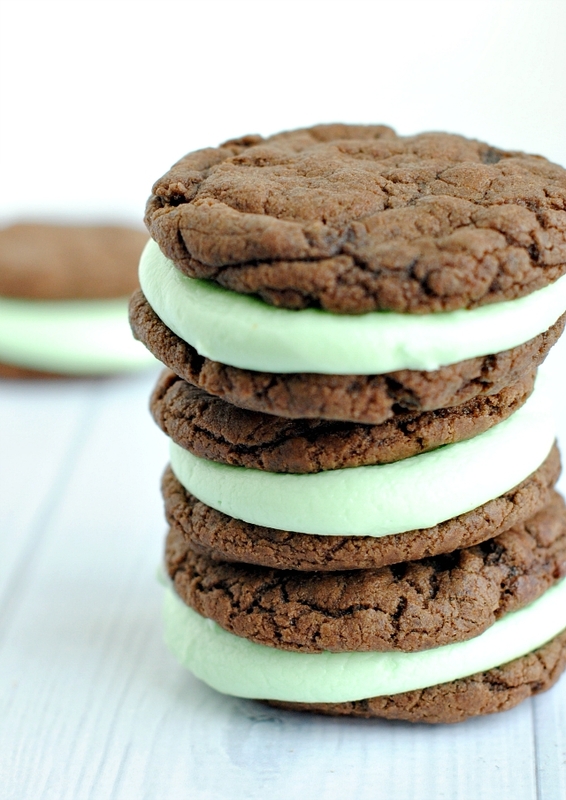 This soft and minty buttercream is perfect between two chocolate cookies! Combine above ingredients until smooth. Pipe onto a cookie and put another cookie on top. 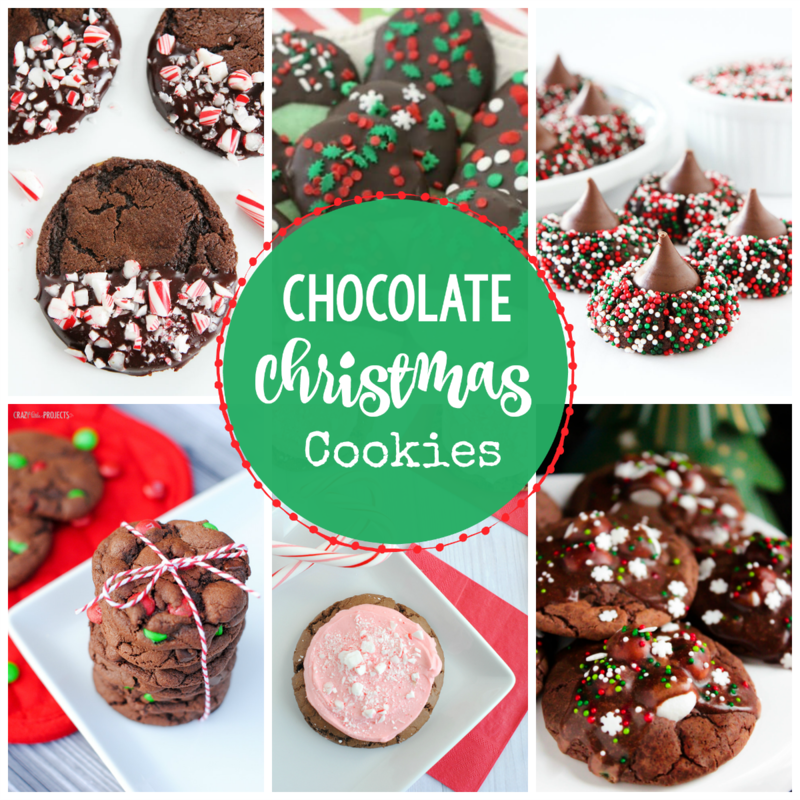 And you’ve got amazing chocolate peppermint cookies all ready to eat! These look like a delicious treat! I hope you’ll share this post at our Holiday Cookie Recipe Swap at http://thedomesticatedprincess.blogspot.com/2012/11/cookie-recipe-exchange-week-3.html. 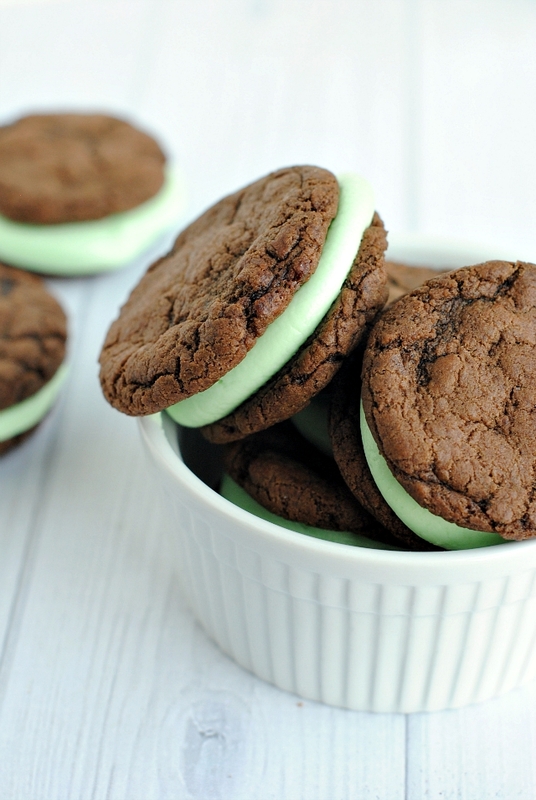 I love chocolate and mint …these sound terrific! Wow! These look so yummy! I love the green! 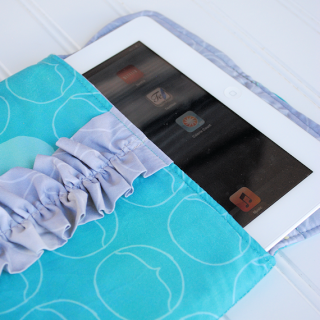 Thank you for linking up to “It’s a DIY Christmas” at Putting Down Roots! Hope to see you again! I love mint in every kind and form! 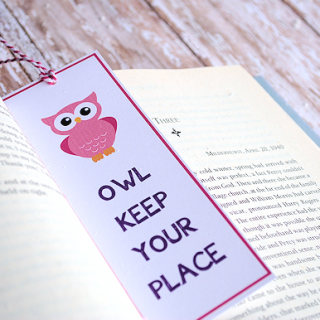 Thanks for the inspiration, it is really much appreciated! Did not turn out at all :( makes me so sad to waste good ingredients. The Frosting was way too watery and took well over 3 cups of powdered sugar to get a thicker consistency. The cookies themselves spread and ran all over my cookie sheets. I made sure to follow the recipe to a T (I am very careful when trying new recipes) The cookies (that I was able to salvage) also taste very bland…not sure where I went wrong. Bummer! Bummer! Did you use margarine or butter? Butter will make them spread more. And did you add extra flour? I had to add more flour to make them so that I could roll them into balls.